Since its beginning in the French Alps in the 1960's, time sharing has grown to be a familiar and accepted concept. After rapid growth in the 70's and 80's, fueled by independent developers, corporations such as Marriott, Disney, and Hyatt became a major presence in the timeshare industry, which has grown exponentially. Guest House construction began in 1982 and the project was designated a Premier property of the exchange company Interval International. Trapp Family Guest Houses now offer one of the most successful resale programs in the industry. Enjoy get-togethers with family and friends at the hearth, deck, or patio. 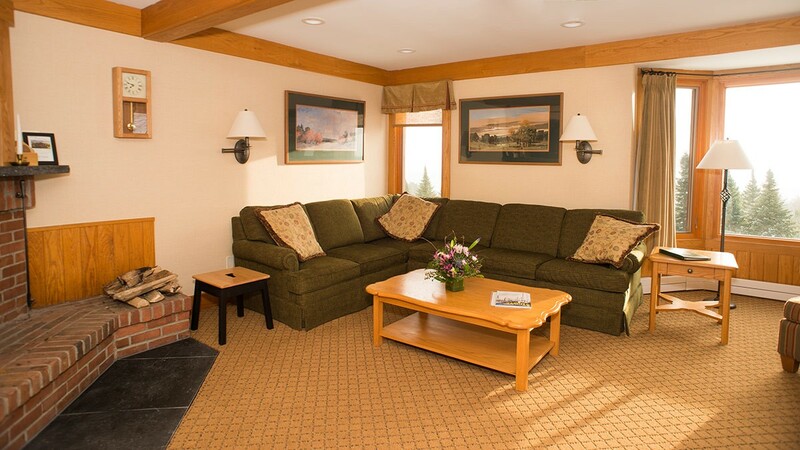 With outstanding views and access to the numerous amenities and activities of our 2,500 acre property, you'll enjoy the best of Stowe and Vermont with our timeshares. The opportunity for fractional ownership in our Vermont Guest Houses is available through our resale office, and it is very affordable. 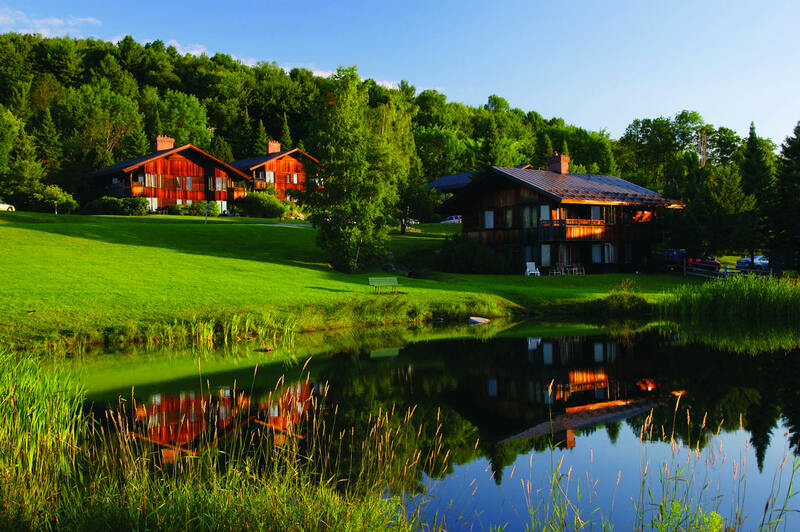 The Trapp Family Lodge provides management services so you can relax and enjoy your valuable vacation time without the worry of traditional ownership. Find out why so many owners have made the Guest Houses part of their family traditions for over 30 years. An in-house swap program allows owners to trade for different weeks than the ones they own, thereby giving them the opportunity to enjoy Northern Vermont in all four seasons. An on-site rental program provides the potential for income when owners choose not to use their weeks. All maintenance is provided by a professional management team. Owners are only responsible for maintenance costs proportionate to the time they own. Owners can be assured of accommodations without reservations. Please review our Guest House Rules. For more than 30 years, the Guest Houses have offered the opportunity to own a piece of one of the most unique and beautiful properties in the country. The perfect way to guarantee your mountain retreat forever, without the inconveniences of traditional second home ownership. As Vermont's only "Premier" member of Interval International, you can participate in an exchange system that offers a world of choice. 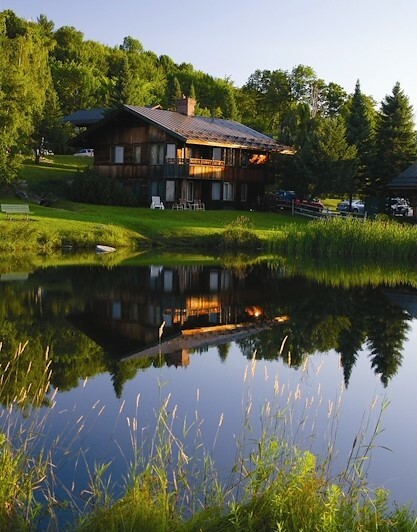 The Trapp Family Lodge's management team provides maintenance services for your piece of mind. Solid, stable management is a key to a successful ownership. With amenities such as the 60 miles of skiing, hiking and mountain bike trails on our 2500 acre property, and a splendid fitness center, you won't need to leave the property. But you may want to, in order to enjoy all of the wonderful activities available in Stowe. The Guest Houses offer “million dollar” views, serenity, service, and a long list of amenities, all at a very affordable price. To learn more about timeshare ownership vacations in the Trapp Family Guest Houses, please contact us by phone or email.